What you’re reading is an excerpt from William Gibson’s (1988) ‘Johnny Mnemonic’, a piece of cyberpunk literature depicting a science fictional world. Here, each human body’s surface and organic structure has been technologically manipulated and enhanced, creating ‘cyborgs’ with unimaginable strength and supremacy. While Molly has retractable razor blades built into her hands, others have the teeth of a Doberman or sophisticated inbuilt information storage systems. The ‘Johnny Mnemonic’ world seems as far fetched as science fiction comes, but when we look a little closer into the world around us, the technology is in fact already here and the cyborg is not so much of a fictional creation after all. 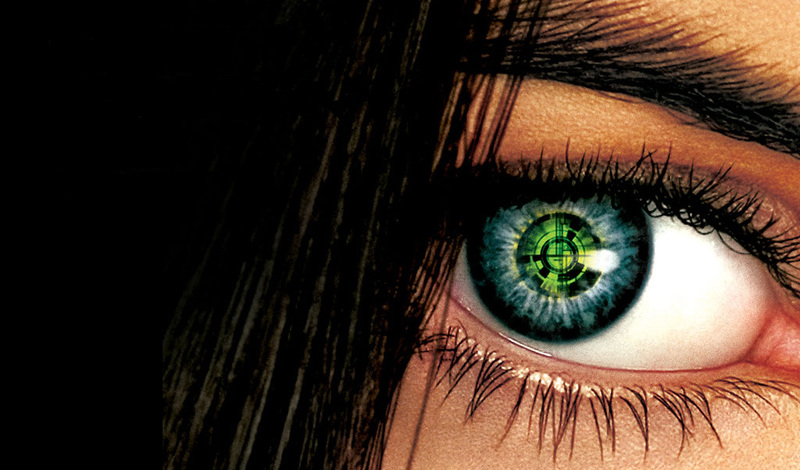 Tomas (2000) suggests that Gibson’s fictional world is slowly becoming a very real part of contemporary existence and says that given recent advances in information technology, genetic engineering and nano-technology, changes like these will soon encompass the human body and its sensorial architecture. In our world of rapidly evolving technologies, the human body is increasingly open to technological enhancement. We’ve given super-human vision to the colour-blind, developed high-tech prosthetic limbs, inbuilt computer chips and information storage devices, developed a cybernetic piece of living tissue, and forged a bio-hacking phenomenon. We are now seeing the gradual merging of man and machine, which are creating capabilities that far exceed typical human functions. So instead of viewing cyberpunk literature as radical science fiction, perhaps we should inspect these texts as theories of the future, giving us an insight into human evolution and determining which body alterations will provide the best competitive edge in a prospective cyborg world. If you could make one alteration to your wiring or physical structure to create your ultimate cyborg self, what would it be and why? Gibson, W 1988, ‘Johnny Mnemonic’, Burning Chrome, Grafton, London, pp.14-36. Tomas, D 2000, ‘The Technophilic Body: On Technicity in William Gibson’s Cyborg Culture’, in Bell, D & Kennedy, B (eds. ), The Cybercultures Reader, Routledge, London, pp.175-189. The battle between the two futures of the mobile net is raging and echoes the PC war of the 1990’s. As mobile connectivity is set to take precedence over desktop connectivity, this current battle is of equal importance. Call it what you will – it is the wage of war between Apple and Google or iOs and Android. Personally, the choice between the two adversaries is not an easy one and the two dissimilar products feel so equal and adequate in terms of benefits and appeal. In the final quarter of 2012, Android had secured 70% share of global smartphone sales, versus 21% for iOs. In statistics surrounding tablet choice however, iOs took the lead in 2012 with 53% share, leaving Android trailing close behind at 42% (McCracken 2013). The battle between the two comes down to the contention of their creators’ philosophies. Steve Jobs created Apple with his core business model being based upon closed devices. Apple wanted control over not only the platform itself, but also the platform’s content and the consumer’s use of it. Co-founder of Google, Larry Page, had a different plan. Through the purchase of Android, the company’s core products emphasized the flow of information and connectivity. Users could not only alter their devices how they saw fit, they could write their own software, using technologies in unpredictable new ways. With such connectivity and freedom, Android’s benefits are undeniably clear in an increasingly connected world. So who will triumph? If current consumer statistics are anything to draw from, the future of mobile connectivity points to open and generative Android platforms. Perhaps we should consider the opposite occurring – a public shift towards iOs based on ease of use and aesthetics, leaving Android to the gamers and tech geek developers. It’s likely that Google will triumph in either situation. Why? For those consumers that opt for iOs, Google’s search engine is still likely to be their first point of call and as Daniel Roth (2008) explains, ‘if the only thing Android achieves is getting more people to spend more time online, then Google still profits. More users mean more people viewing pages with Google ads’. Without a change in ideology, the longevity of iOs looks bleak. Put so eloquently by Derrick Brown (2013), ‘Android seems to be growing into the worm that eats the Apple’s core’. Brown, D 2013, The Epic Battle Between Apple & Google is All But Over – Who Won?, Read Write, weblog post, 17 May, viewed 20 October 2013. McCracken, H 2013, Who’s Winning? iOs or Android? All the Numbers, All in One Place, Time, weblog post, 16 April, viewed 20 October 2013. Roth, D 2008, ‘Google’s Open Source Android OS Will Free the Wireless Web’, Wired, 23 June, viewed 18 October 2013.